Auction of tomes scribbled upon and annotated by their authors raises total of £440,000 for English Pen writers’ association. A first edition copy of Harry Potter and the Philosopher’s Stone, with author JK Rowling’s notes and original illustrations, was sold for £150,000 at auction in London. The book, which was auctioned by Sotheby’s at a charity sale in aid of the English Pen writers’ association, was purchased by an anonymous bidder by telephone. The annotations by Rowling include comments on the process of writing and a section from an early draft of the novel, along with a number of illustrations drawn by her and a note on how she came to invent Quidditch, a sport played by characters in the books. She and others had been asked to “scribble second thoughts, marginalia or drawings” on a first edition copy of one of their books for the event, which raised £439,200 in total. A copy of Roald Dahl’s bestselling children’s book Matilda, containing new drawings by illustrator Quentin Blake, fetched £30,000, while an annotated copy of Kazuo Ishiguro’s novel The Remains of the Day went for £18,000. In other lots, a copy of Julian Barnes’s Metroland sold for £14,000, a copy of Alan Bennett’s The Uncommon Reader fetched £11,000 and a copy of Seamus Heaney’s Death of a Naturalist was bought for £17,000. A copy of Colm Tóibín’s The Heather Blazing was sold for £15,500. 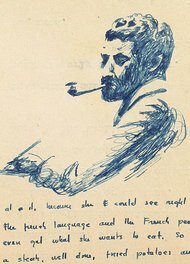 A recently discovered trove of William Faulkner writings includes illustrated letters. William Faulkner typed the story on the back of University of Mississippi letterhead, an early exercise in fiction writing about a fur trapper’s trip to a big city. Its 13 browned pages, stashed in an old, mismarked box in a barn on the Faulkner family farm in Charlottesville, Va., were discovered just last year. Now they, along with a stack of hand-corrected manuscripts, letters, a hand-bound poetry book and Faulkner’s Nobel medal, are headed to Sotheby’s for auction in June. For collectors Faulkner’s 1949 medal, his Nobel diploma and an early handwritten draft of the speech he made when accepting the award are likely to be the most sought-after items at the sale. Sotheby’s estimates they alone will fetch his family between $500,000 and $1 million. 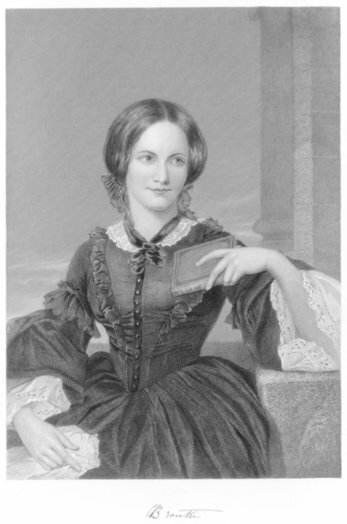 Charlotte Bronte, who wrote more than 200 poems, penned “I’ve Been Wandering in the Greenwoods” when she was just 13 years old. 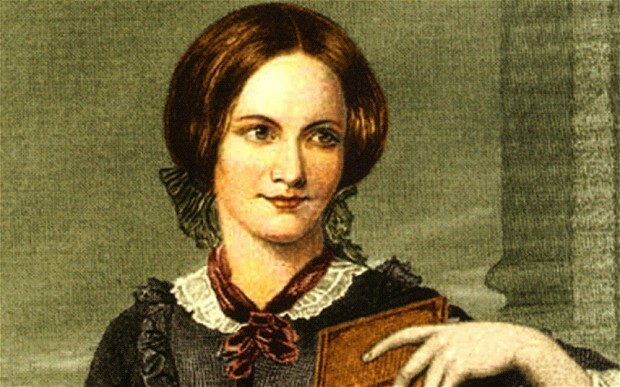 A tiny poem written by a teenage Charlotte Bronte has sold for more than $140,000, the Guardian reports. Called “I’ve Been Wandering in the Greenwoods,” the poem, composed when Bronte was 13 years old, is handwritten on a piece of paper just three inches square. It is difficult to read without a magnifying glass. The manuscript is dated Dec. 14, 1829, and signed “C. Bronte.” Written in a minuscule hand on the scrap of paper (easy to hide, one imagines, from one’s siblings or clergyman father) is a sweet little poem about a doleful walk along a mountain stream. It’s clearly the work of a serious child — the flowers primrose and asphodel symbolizing youth and death, respectively — and one who already had an ear for rhythm. A very early poem by 13-year-old Charlotte Brontë has gone on sale at Bonhams auction house in London. The manuscript of Charlotte Brontë’s poem, I’ve been wandering in the greenwoods, is expected to fetch between £40,000 – £45,000. The poem is signed “C Brontë” and dated 14 December 1829. It is written on a small slip of paper 3×3 inches in size and cannot be read easily without a magnifying glass. The poem is among a collection of more than 260 other poems and portraits going under the hammer. The collection is the result of 40 years of collecting by the Oxfordshire poet and scholar Roy Davids. Together, the items are expected to sell for up to £800,000. A RARE cricket book described as “gold dust” has sold at auction for more than £150,000. 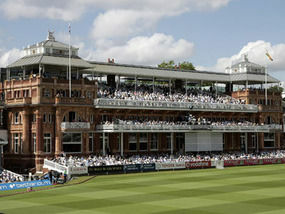 A Collection Of All The Grand Matches Played In England From 1771 To 1791 fetched a world record for a book on the sport.